Carbonate water and Fruit at Home! After a bit of research and a little trial-and-error, I think I've pieced together a pretty good system for carbonating beverages and fruits. Not much of this is original - most of my ideas came from Richard Kinch's website and Evil Mad Scientist, with the exception of using the Kent Systems Quick Couplings. The couplings are cheaper than ball lock bottle accessories, so you can carbonate lots of bottles at once, and they don't require any fabrication. The key to carbonating fruit is having a bottle with an opening big enough for big pieces of fruit (small fruit like blueberries can be carbonated in a regular soda bottle). Kinch's page shows someone using water filter canisters, which are deigned for high pressure. I added the safety valve because I like being safe, and I didn't want a pressurized canister to explode in my car if I forgot about it. Full kit, plus a 5lb CO2 tank from a local homebrew supply store. Kent systems bottle cap and hose quick disconnect. Kent system connectors for the filter canister. Apple slices and blueberries being carbonated. For best results, leave in the refrigerator for a few hours. 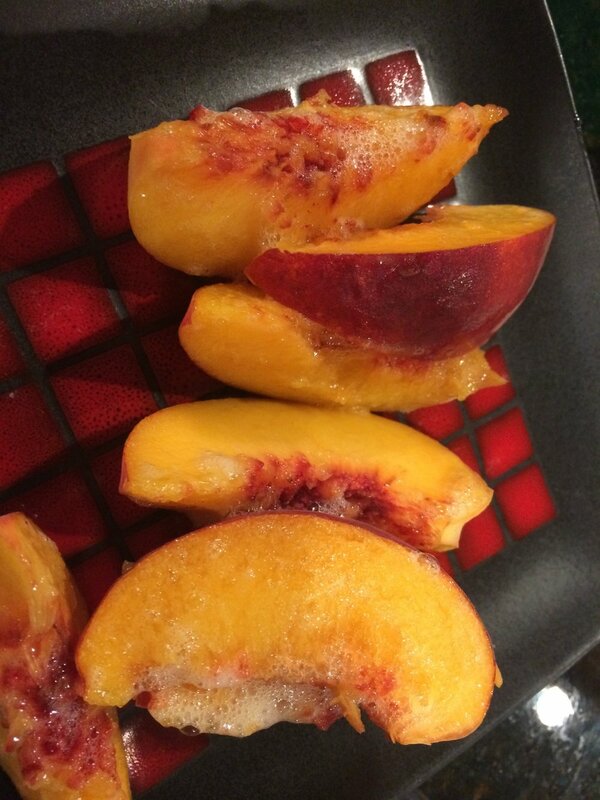 Fizzy peaches are especially good! Warning! High pressure CO2 can be dangerous! The filter housing used here is not designed for pressurized gases, so use at your own risk.